Reggie is not a vocal dog. It’s a little weird; he doesn’t regularly bark, growl, or whine. I know I’ve discussed it in other posts- his lack of vocalizations make me overreactive in play situations when vocalizations are common because I’m not used to them. He barks at the mailman. Couldn’t be more of a cliche but he gets nutty when the mailman comes to the door (just the mailman, no one else). So, why do dogs bark? Why are some dog barks more ferocious than others? Let’s see. 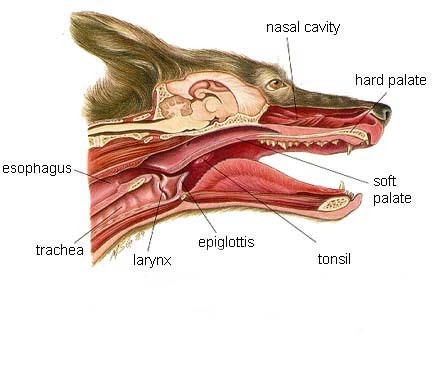 The structure of the canine throat is similar to that of a human. According to The Genius of Dogs by Brian Hare, the vocal chords- which are contained in the larynx- are more plastic than a human’s, and allow for greater vibrations and subtlety of sound. You probably can tell the difference between your dog’s “throw the ball!” bark and “there’s a stranger!” bark. These slight vibrational variances create an entire language. The length of the larynx, and consequently vocal chords, make a sound impact too. A St. Bernard has a large, booming, deep bark. A Pug has a short, sharp, staccato bark. The vocal chords of the St. Bernard are longer and have a longer vibration time, whereas the Pug has very short vocal chords. Think of it like a dog with a long or big neck equals a big or deep bark, and small or short neck equals tiny or high pitched barks. You know your dog and can probably tell the difference between his or her barks. Dogs bark for attention, boredom or frustration, territoriality, playfulness, or health issues. A bored dog is like a bored kid- they can be destructive, annoying, and will get that energy out one way or another. My mailman issue is a common one and an issue of territoriality. I need to teach Reggie that the mailman is ok. When Reggie is outside and the mailman comes to the house he is fine (although the mailman is not fine, he is terrified). Reggie’s dad has done a very good job of fostering a good Reggie-mailman relationship. Dogs are ancestrally and genetically linked to wolves. However, only 3% of wolves’ vocalizations are barking. Wolves howl. Through the domestication process, barking became the main form of vocalization and howling less. There are also breed considerations- you may never train barking out of a Beagle or howling out of Basenji. Scientists have recorded dog barks and growls and played them for dogs, and yes- they are communicating different things. 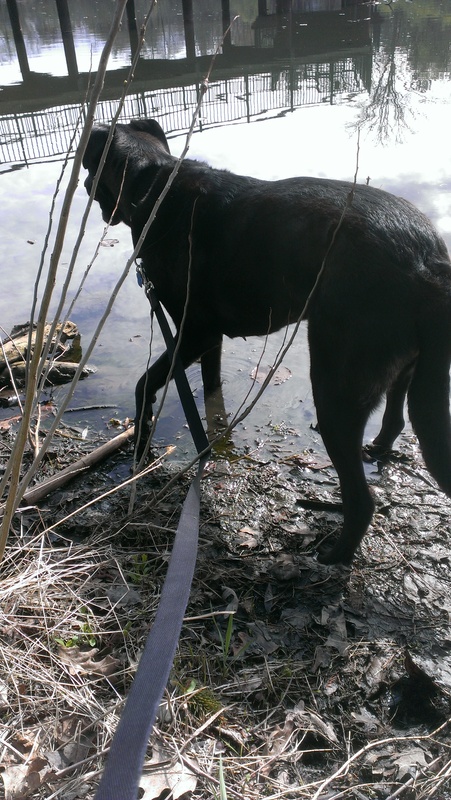 One such experiment, as relayed in The Genius of Dogs, involved two dogs playing. Dog A and Dog B are both barking and growling. Dog A takes Dog B’s toy. Dog B growls but there is no incident and play continues. Scenario two is feeding. Dog A and Dog B are eating and Dog A tries to get Dog B’s food and Dog B growls. Dog A backs away. The growls in the two scenarios are clearly different and communicating different messages. The follow up of that experiment was that they recorded those growls and played them for different dogs at feeding time. With the “play” growl there was no reaction; with the “feeding” growl the other dog backed away! I have a good handle on Reggie’s whines (seizure indicator), but I am still learning his growls and barks. He is not a talker, and while I am largely grateful for that, it can be difficult sometimes. Maybe I should work on a “speak” command! I read two wonderful discussions recently, one regarding predatory versus aggressive behavior from IAABC (International Association of Animal Behavior Consultants- Dog Group, I can’t link the discussion as it’s a membership site), and one regarding resource guarding from Patricia McConnell, PhD, CAAB. The topic was as follows: what is the difference between predatory behavior and aggressive behavior, or when does one cross the line into the other? And from Dr. McConnell’s blog, is resource guarding a predatory behavior or an aggressive behavior? Well this piqued my science mind. 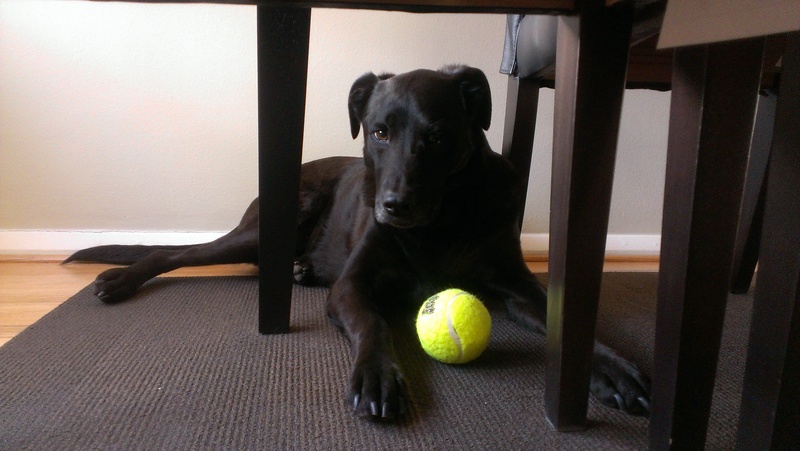 Not to mention, ahem, Reggie has a bit of a resource guarding problem with tennis balls. So back to predation versus aggression. Let’s break it down. Predation is rather cut and dry. The function, at a base level, is to get your prey. The sequence of events is: eye, stalk, chase, grab/bite, kill/bite, dissect, consume. The intent, and desire, is to get your prey. Read a general discussion by the ASPCA about it here. 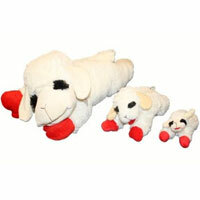 Most dogs will play with the bodies (think shaking the squeaky toys). It’s not the best mental picture of your adorable Fido- a fierce hunter stalking the backyard wildlife. But, that’s nature. Greyhounds are expert chasers. Staffordshires are expert kill/biters. Terriers are expert stalkers. Fortunately, evolution and selective breeding has de-volved this tendency in domestic dogs to a certain extent and the urge towards genuine predatory behavior like a National Geographic special is not so common, actually rare, in today’s dog. The function of aggression is to remove a threat, whether perceived or genuine. This is seen in fear responses, anxiety, resource guarding, leash aggression, to name a few. These are all the dog’s conditioned (learned) responses to a perceived threat. In the case of, say, a dog fight or attack where your dog is the victim, an aggression response would be the removal of a real threat. The removal of a threat is not precluded by a stalking behavior; think of predation as premeditated and aggression as relatively instant. It is reasonable to think that one behavior crosses over into another. For instance, Reggie’s cousin Stewie has trouble with “dog conversation.” He’s still a young dog and he’s learning. But it gets him trouble. Stewie loves to play, and play and play. When his play partners are tired or done playing they sit down or walk away like most dogs do. Stewie will poke and pester them to keep playing. The other dogs will growl or nip Stewie to give the signal to “back off.” Stewie does not understand this and keeps going back for more (“play with me!”). What started as social predatory behavior quickly escalates to an aggression situation when Stewie can’t read the signals and the other dog feels it needs to remove the threat (pestering dog). Resource guarding can also be aggression behavior in a certain context. Reggie guards tennis balls from other dogs BAD (not humans). He perceives dogs as a threat to his ball. Why? Who knows. But this is an aggression response not a social predatory response. He goes stiff, low growl, lip curled- all signs of an impending lunge and/or bite. There is no stalk, no chase. No time- you want his ball!